Goals. Resolutions. Hopes. Dreams. Whatever you want to call them. What’s on your TO DO list for this year? Mine includes spending more time outside – biking, hiking, camping, star-gazing…. I’ve been wanting to take a picture like this since my Astronomy 101 class in college. I’ve made attempts before, but the stars literally aligned for me the weekend I made this photo and I am pleased. Hopefully, you will be seeing more things of this nature in the months ahead. By the way, this is the constellation Orion. See his belt in between the two main trees? 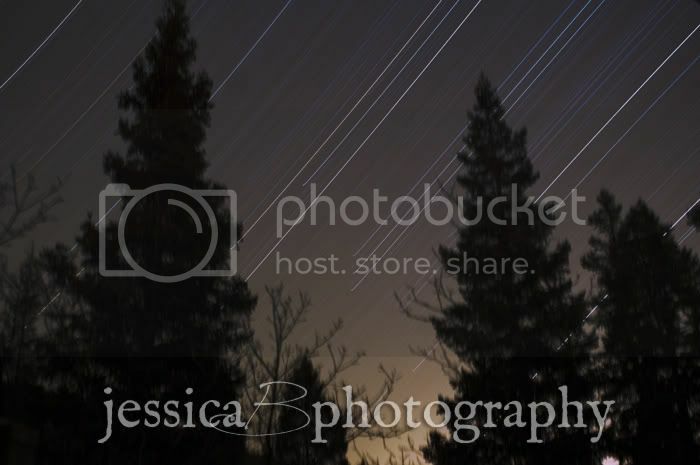 I absolutely love night scapes and this is well done Jessica. Anytime you want to get out and shoot some landscapes for fun, let me know!